MANILA, Philippines - Team Bamboo's artists clashed on the Twitter-trending "The Voice Philippines" continuation of The Battle Round on Saturday, December 13, 2014 with the 4-chair turner Rence Rapanot and Casper Blancaflor performed Radiohead hit "Creep." Coach Lea was impressed by Rence while Sarah and Apl picked Casper as the best among the paired artists. Coach Bamboo declared Rence as the winner in 'The Battle' round. He will advance to the next round of the competition – the Knockout rounds. 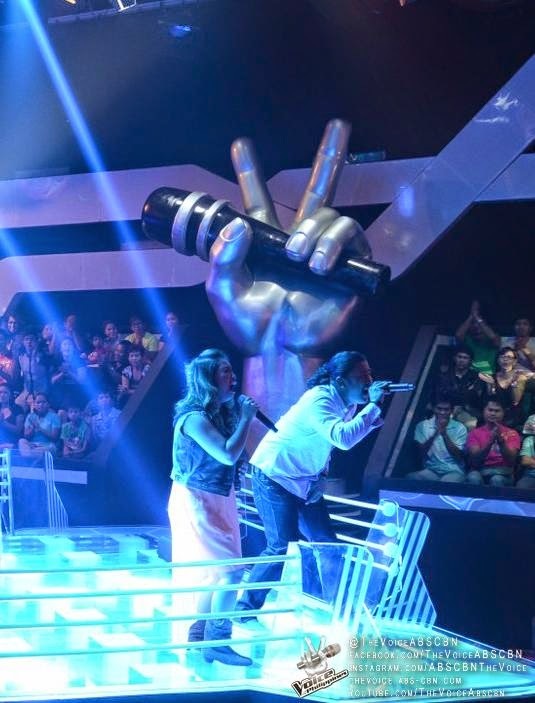 Meanwhile, Coach Lea and Sarah have attempted to steal Casper from Team Bamboo. Casper chose Team Lea and she will continue her journey in the competition. The continuation of The Battles on Saturday dominates online conversations with '#TheBattlesPH', 'Through the Fire' and 'Mackie' among the trending topics.